Back for round two, the new and improved Nike Air VaporMax Flyknit MOC 2 combines the head-turning style you love with new reinforcements for a durable fit you can trust. 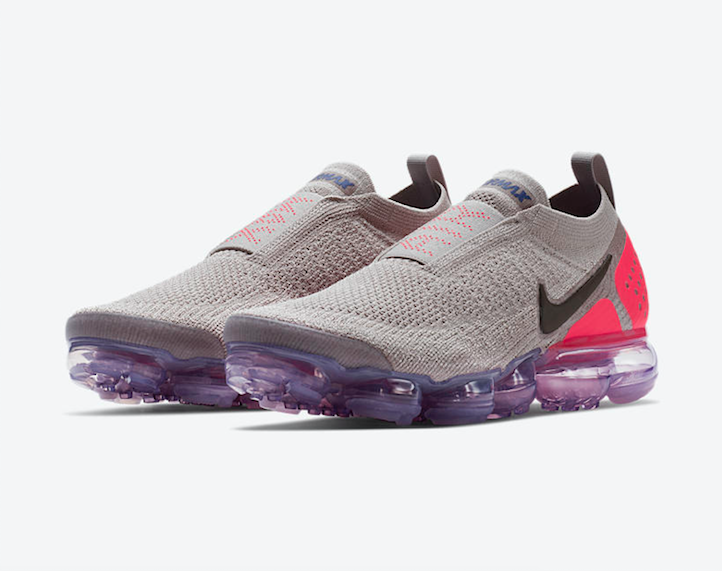 Laceless, slip-on construction sets these shoes apart from the rest of the Air Max line, while the VaporMax Air midsole places cushioning directly underfoot. The result is a streamlined running shoe that delivers contoured cushioning and flexibility exactly where you need it. Update with an external heel reinforcement, the VaporMax Flyknit MOC 2 is the next step forward in the Air Max revolution. Seamless Flyknit upper wraps the foot for a snug, sock-like fit and premium feel. Adjustable gore strap wraps the midfoot for secure lockdown and support. Slip-on design with pull tab for easy on and off. New external heel reinforcement helps hold your foot firmly in place. 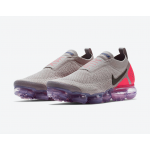 VaporMax Air midsole delivers lightweight, responsive cushioning and iconic style. Contoured midsole construction for increased flexibility and a more natural stride. Rubber pods and integrated lugs in the outsole for durable traction on any surface.